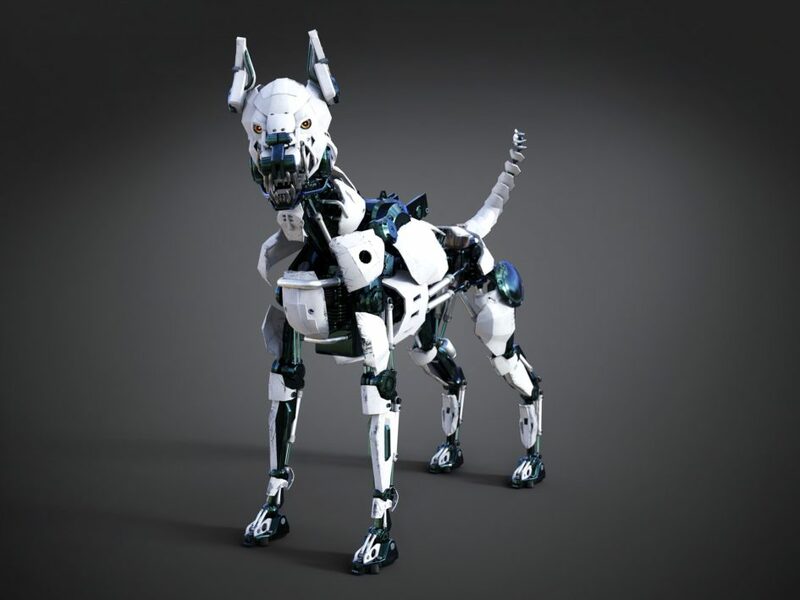 3D rendering of a futuristic mean looking robot dog. Dark background. With the news that 300,000 boys across the globe are living with Duchenne Muscular Dystrophy (DMD), scientists have been genetically editing dogs in the hope that it will help humans who have a muscular condition. The practice isn’t without controversy, but the benefits to humanity could be huge. Genetic engineering allows scientists to alter an organism’s characteristics by manipulating its DNA. This can be on the level of a virus, all the way up to mice, sheep and even cows. The aim is to aid the goals of humanity. For instance, pigs have been genetically modified to emit up to 60% less phosphorus than other pigs in order to limit their impact on the environment. Through editing the genes of dogs, scientists are hoping to find a way to eradicate muscular disorders by biohacking human embryos in future. How are Dogs Being Genetically Modified? Scientists have utilized a new gene editing technology called CRISPR and have for the first time used it on a large animal – the dog. Like humans, dogs are affected by a muscular disorder known as DMD. By using CRISPR, scientists have been able to hack into the DNA of four beagles and correct the defect responsible for the emergence of DMD. It is thought that the technology may also be able to treat obesity in canines or other serious conditions such as cancer. The fact that they have managed this feat on such a large animal shows that it could potentially be applied to an organism as complex as a human. The level of pain and understanding that a dog experiences is not too far away from that of a human. When they are living with a muscular condition, it can affect a dog’s mental health in the same way that it does for a person. This makes the dog a perfect candidate for testing out cutting edge biohacking before applying it to humans. If it can be shown that scientists can reliably and effectively prevent muscular conditions in dogs, then it is very likely that they can do the same with human embryos. Not all genetic engineering goes to plan. For instance, Dolly, the first cloned sheep, died when she was just six years old. Scientists are at risk of bringing animals into the world with genetic defects, who experience a life of suffering. However, if they can perfect the gene editing process, then they may be able to reliably create animals which are healthier and protected from disease. It can therefore be argued that the biohacking and genetic engineering experiments that are occurring right now, could lead to future generations of animals that can avoid enormous levels of suffering. The aim of genetic engineering is not for the welfare of the animals, but rather a means to be able to biohack humans. Once we have control of our DNA, there is no limit to the kind of humans we could create. In these early stages, scientists are looking to be able to identify and remove birth defects. With 300,000 boys across the world living with DMD, gene editing experiments of dogs could mean that no new child is born with such a condition. However, beyond this there could a future generation of super intelligent babies ready to be born. Once the DNA code is fully cracked, the progress of humanity could be about to take off. With a new generation of super healthy and smart humans, technological and academic progress will accelerate so that humanity can achieve societies currently considered impossible.